With much of a company's success and production process depending on outside suppliers, it's crucial firms engage in risk analysis in strategic sourcing to avoid significant losses and disruptions. 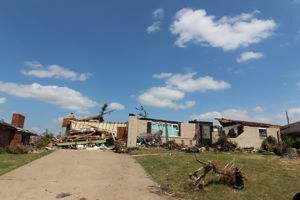 For example, a weather-related disaster can cause a factory to shut down for days, weeks or longer, causing a chain reaction affecting third party and immediate suppliers. A recent study by the Business Continuity Institute (BCI) indicates about 75 percent of organizations reported a business disruption in 2012, Supply Management reported. The Supply Chain Resilience 2013 survey of over 500 business continuity experts located across 71 countries showed service failure by outsourcers was one of the most cited reasons for business disruption. The survey said supply failures often stem from third party suppliers as 42 percent of supply disruptions happened due to failure that happened below the immediate supplier. Many of the respondents said they experienced a huge financial loss as a result of these interruptions. About 15 percent of respondents had a $1.3 million loss in 2012 and 9 percent said they had lost that amount in one incident. As the results show, disaster preparedness business solutions are important in assessing business risk. These solutions include assessing different types of risks that may cause interruptions in the future. According to the survey, 23 percent of respondents believed the biggest risk over the next 12 months involves technology while 17 percent said the biggest hazard includes regulation. One way to assess risk is to understand the environmental conditions of where commodities are being sourced, according to GreenBiz. Known as commodity mapping, this resource can help give companies a visual of what risks companies can expect to encounter depending on geographical location. Christy Melhart Slay, research manager and biodiversity project leader at TSC, developed the Commodity Mapping Innovation Project. "It's hard to understand what problems you need to be addressing if you don't know where you're sourcing from," Slay said, according to GreenBiz. "Some companies work directly with their growers, and so they have that direct contact, which is great, but a lot of companies don't." Mirroring the same number of organizations that said they experienced supply disruptions, 75 percent of respondents in the BCI survey said they did not have full transparency regarding their suppliers. Analyzing risk throughout a whole network of suppliers can help businesses see how they need to guard against financial losses caused by service or supply disruptions.